I finished the bed runner that I began on Wednesday this afternoon. This is a gift for my friend who has a king size bed. I am not up for sewing a king size quilt but this bed runner pattern is great. This pattern is by Bonnie Olaveson of Cotton Way and you can find it here in her shop. I've had this pattern for a couple of years and I even have the original "Ruby" charm squares shown in the pattern to sew a bed runner for myself but I haven't sewn it yet. 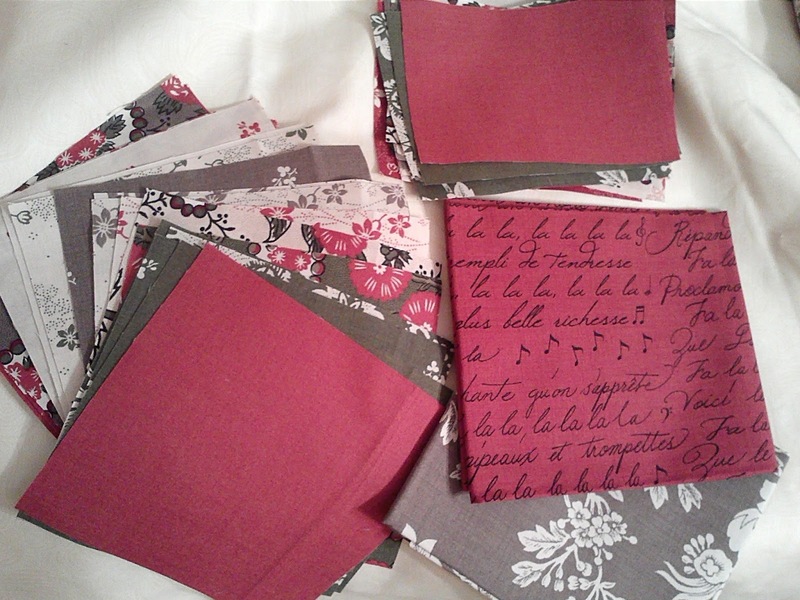 I used Fa la la la la by French General for Moda fabrics. My friend said these are "her colours" and I had her look over the fabrics before I started so I am sure she will love it. In this pattern you applique the dots and squares to the runner squares and leave the edges raw. These photos were taken after washing and I think the raw edges add some nice dimension and great texture to the bed runner. I stipple quilted around the shapes with King Tut thread in red and green to match. The background fabric was from a double wide backing on another quilt and I believe it is a Fig Tree fabric but I'm not sure. My friend had bought the fabric I used for backing for me to sew her a yoga bag which I sewed two or three years ago. She loves this fabric so if she gets tired of the front she can flip the bed runner over. This fabric is an upholstery weight cotton. There is a second entry for my blog followers. If you are a follower, or you choose to become a new follower, please leave a comment telling me that you are. And for a fourth chance you could follow me on Facebook and tell me that you do. So that's a total of four chances at this fabric. I won't prolong the suspense and will close the giveaway on Monday July 15th at the end of the day.